I spent the last three years taking coursework and working on my thesis for my Master's degree in Technology and Communication from UNC Chapel Hill's School of Journalism and Mass Communication. There was no lack of rigor in the program, a program that broadened my horizons. If you are interested in hearing more about it, I'd be happy to talk to you offline. Now that school is over, I will be updating this blog more often. We had a successful Kickstarter campaign for Sea Urchins Book Two: In the Shadow of the Sea Apes. I'm working on a 10-page exclusive for that book now, and will tell you more about it soon. Stay tuned! 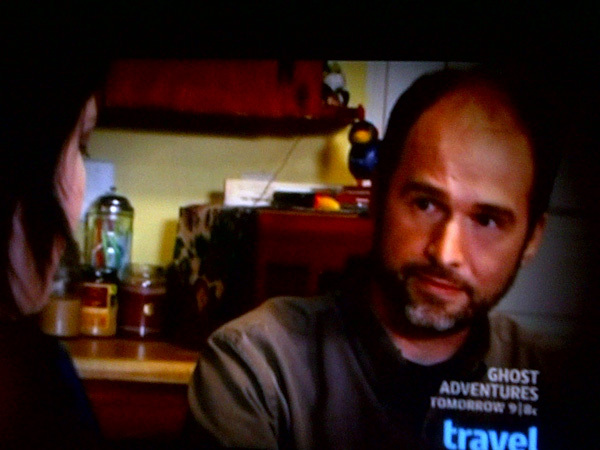 I'm a sketch artist on the Travel Channel show The Dead Files, Death and Dolls episode! Fun and creepy experience. It's on this Friday, February 3 at 10pm. ... 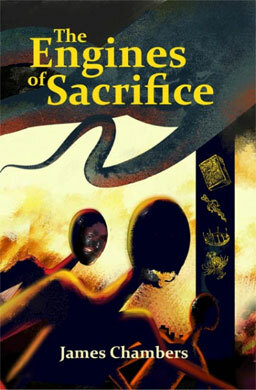 Here's a book cover I made for James Chambers' Lovecraftian Engines of Sacrifice, available from Dark Regions Press. Congratulations to the N.C. Zoo for winning an American Graphic Design Award for outdoor signage! Stacey Brown, Betsy Powell, Lance Hill and Bill Rankin did a great job! 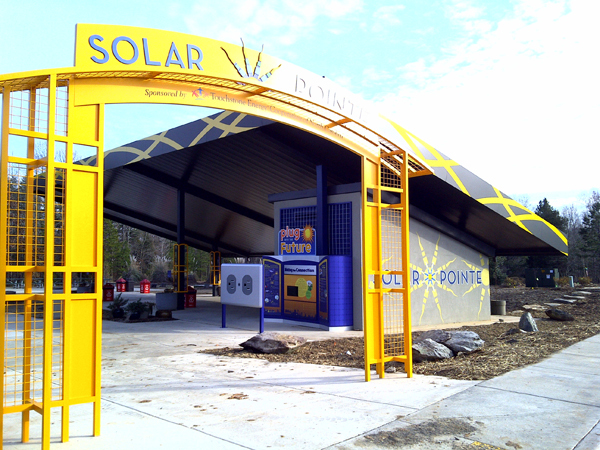 The kiosk is located at the Solar Pointe pavilion at the N.C. Zoo in Asheboro, N.C. I'm lucky to have helped as programmer! Scroll through the gallery at the bottom of this link to see the winning kiosk, Plug into the Future. 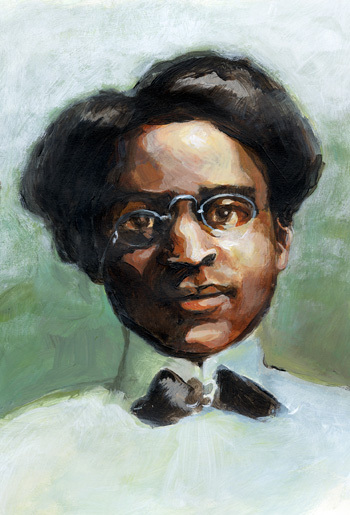 The Charlotte Hawkins Brown Museum accepted donation of my portrait of the museum's namesake. The portrait will be presented at the museum's Annual Christmas Open House this Sunday from 1 to 5 pm. 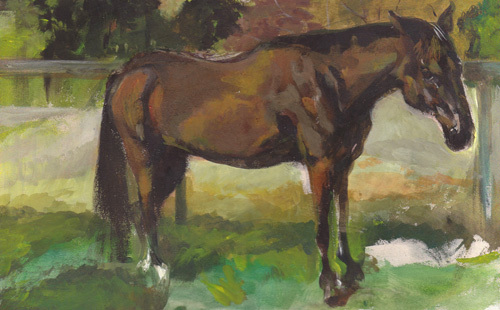 The portrait was painted in 2005 for The Charlotte Observer and the donation is courtesy of The Charlotte Observer. Thanks to The Observer's Dee-Dee Strickland and June Lancaster and the Museum's Marian Inabinett. 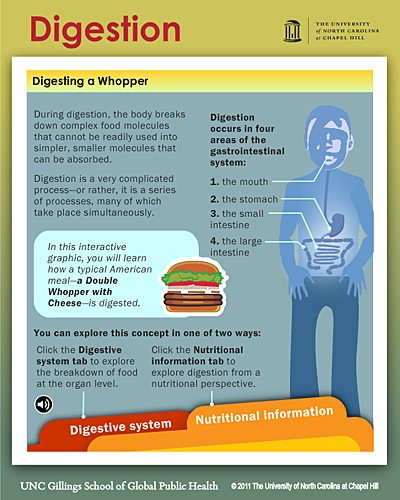 Another Heyman/Whitley collaboration recently landed on Kidzter.com. It will soon be available as a free mobile app (as time permits). The idea is simple. 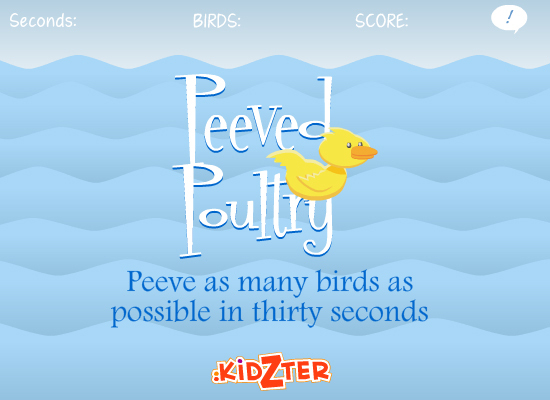 Peeve as many fowl as you can in thirty seconds by clicking on them.